This series is a real meeting of the past with the present; incorporating vintage inspired flower designs with the creative use of modern materials. These pieces are both stylish and timeless. The various elements are brought to life with the use of Mother-of-pearl, Swarovski crystals, resin, glass and enamels. Another Bohm classic with lots of vintage appeal. 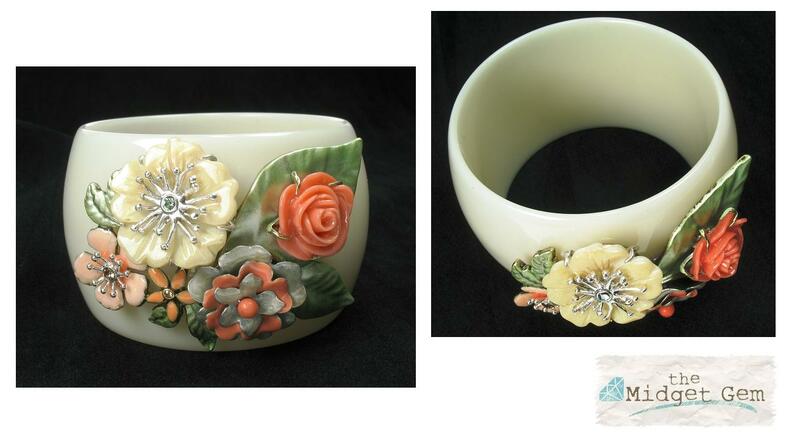 Wide cream bangle with a wonderful corsage of leaves and flowers. The bangle is 5cm/50mm wide and has an inner circumference of 20cm/8 inches. Diameter 7cm/2.75 inches. The various flowers measure from 1cm/10mm up to 2.5cm/25mm. 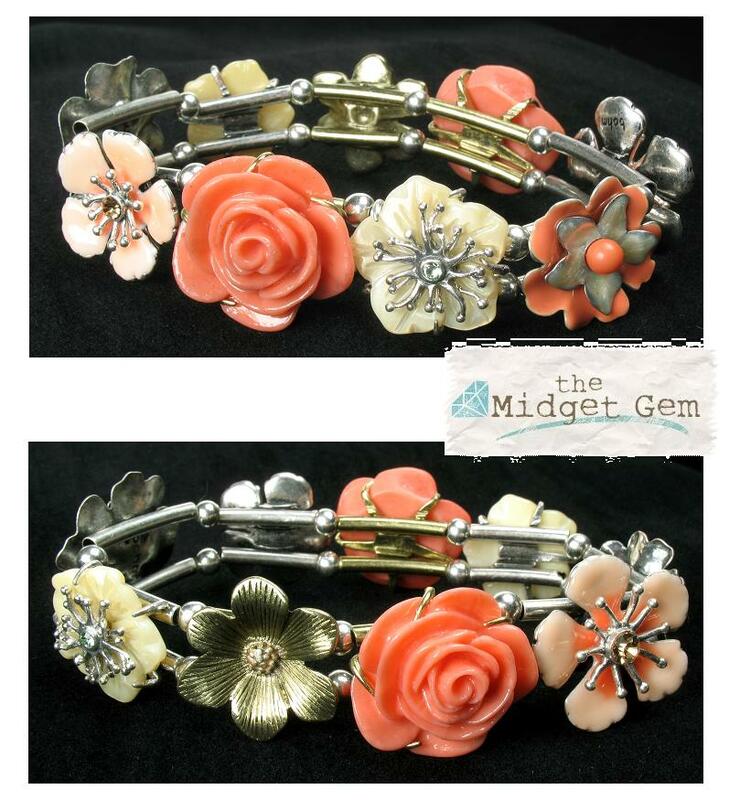 Stretch style bracelet with a wonderful row of flowers. It displays a mix of gold and silver plates. The bracelet is 2.5cm/25mm wide and has an inner circumference of 18cm/7 inches (unstretched). It stretches gently to fit most wrists. The various flowers measure from 1.8cm/18mm up to 2.5cm/25mm. 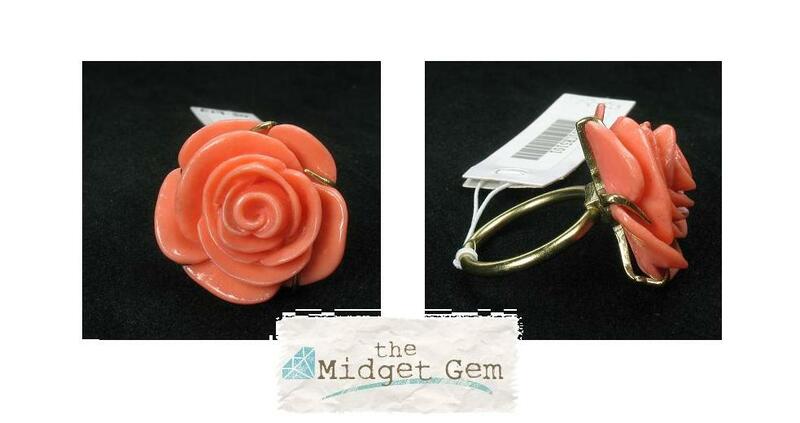 Coral 'rose' adjustable ring. A wonderful resin carved rose claw set into a burnished gold plated setting. The ring shank is adjustable. The flower measures 2.5cm/25mm. The ring band is 2mm wide. 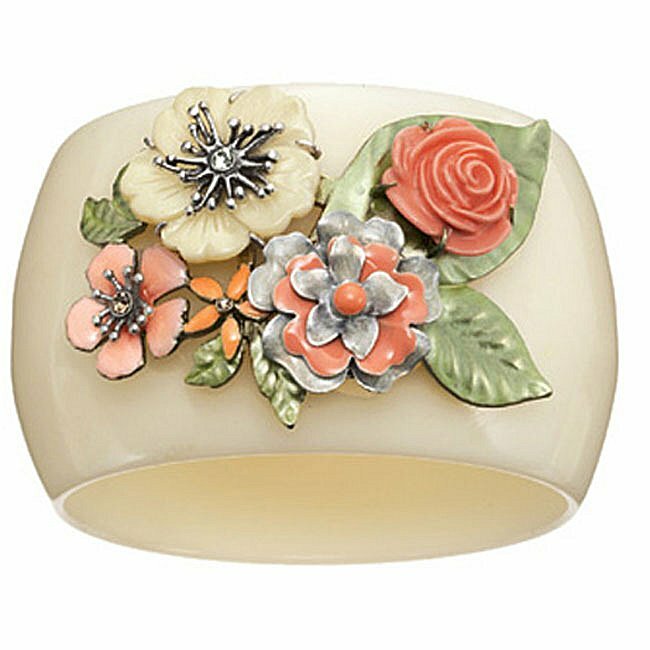 Mother-of-pearl adjustable flower ring. 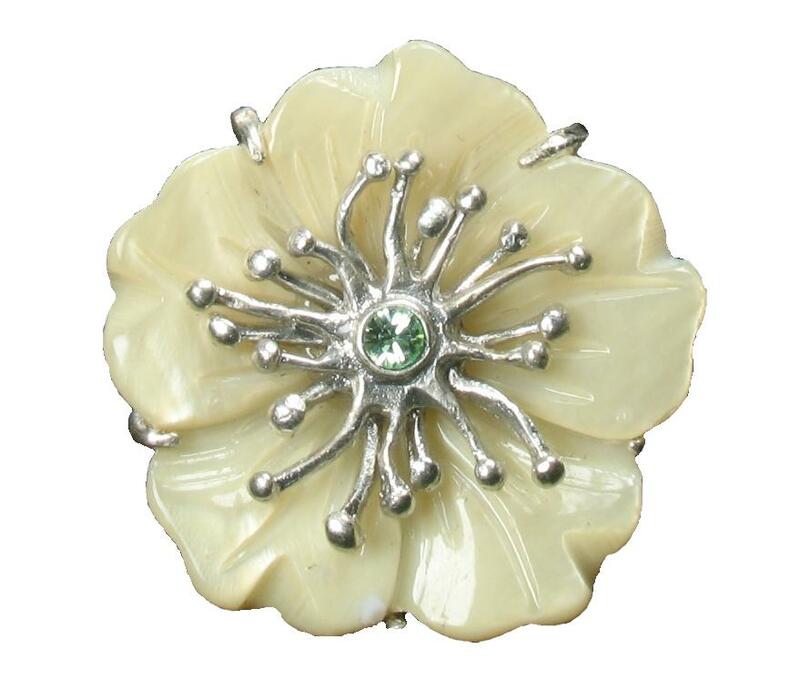 A wonderful carved MOP flower with silver plated centre and cup-set green Swarovski crystal. This is claw set into a silver plated setting. The ring shank is adjustable. The flower measures 2.5cm/25mm. The ring band is 2mm wide. 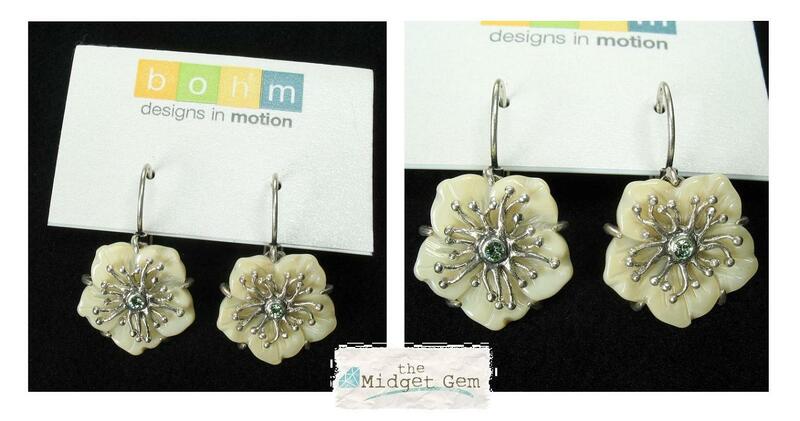 Mother-of-pearl flower earrings. 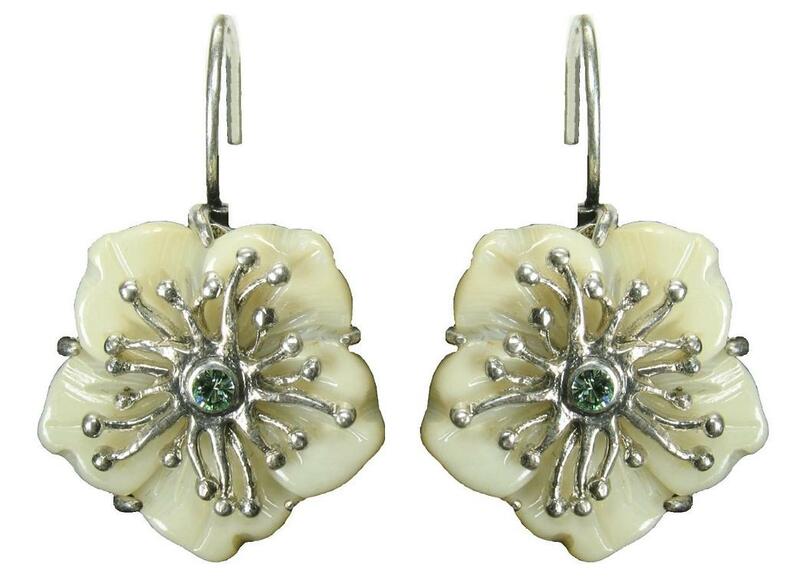 Wonderful carved MOP flowers with silver plated centres and cup-set green Swarovski crystals. This is claw set into a silver plated setting. French clip hook fastener for pierced ears. The flowers measure 1.6cm/16mm. Total length 3cm/30mm. 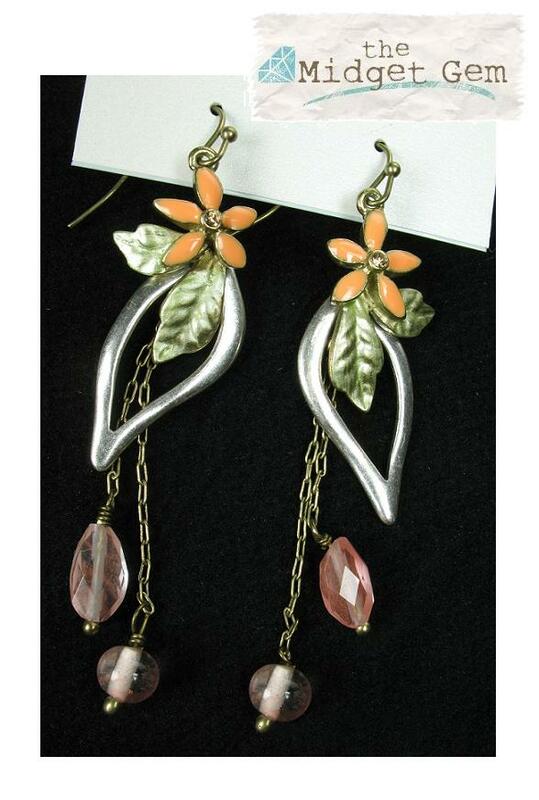 Pretty flower and leaf drop earrings. 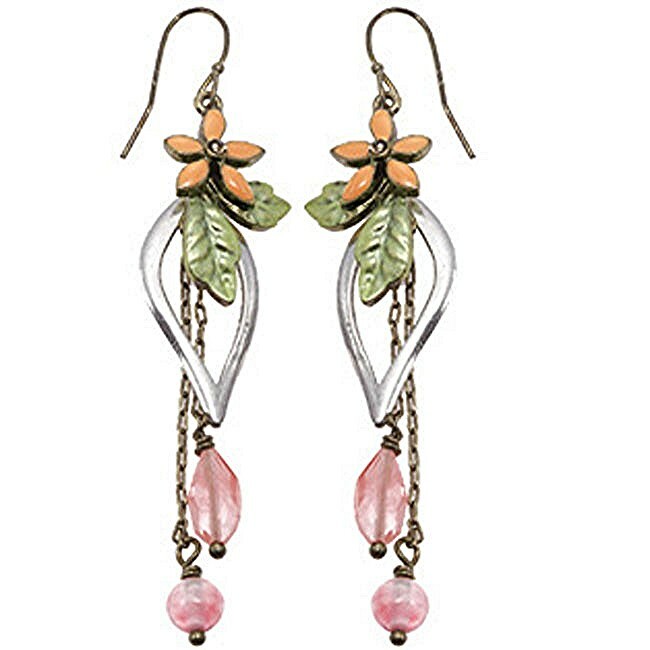 Enamelled leaves and flowers with rose quartz, glass and Swarovski crystals. A mix of silver and gold plates. Hook fastener for pierced ears. The flowers measure 1cm/10mm. Total length 7.5cm/75mm. 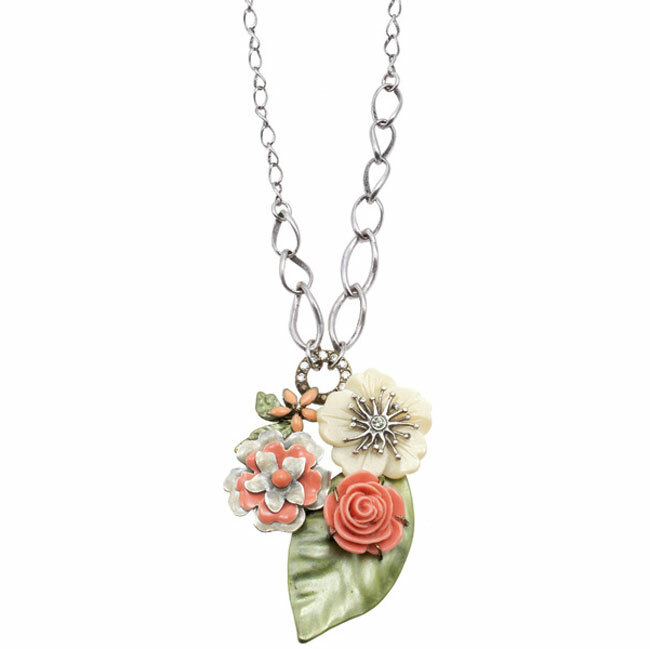 Flower mix pendant featuring a mother-of-pearl flower, carved rose and enamelled flowers and leaves. A mix of silver and gold plates. The pendant measures 6cm/60mm in length x 4.8cm/48mm wide. Flowers measure from 1cm/10mm up to 2.3cm/23mm. Adjustable chain 41cm/16 inches to 49cm/19 inches. It can be worn much shorter because the clasp fits the necklace's links. 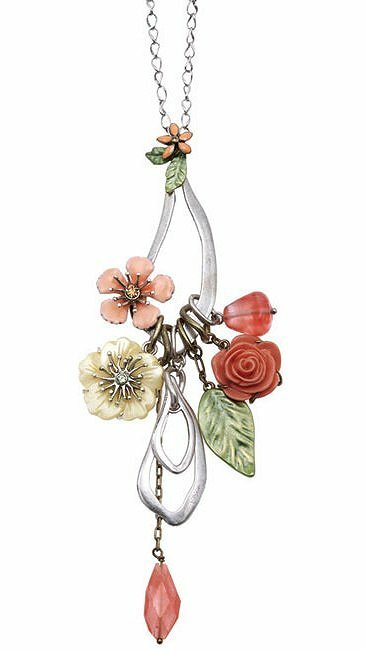 Longer length, flower mix pendant featuring a mother-of-pearl flower, carved rose, rose quartz and enamelled flowers and leaves. A mix of silver and gold plates. The pendant measures 16cm/160mm in length. Flowers measure from 1cm/10mm up to 2.3cm/23mm. Adjustable chain max. length 74cm/29 inches. It can be worn much shorter because the clasp fits the necklace's links. Or you can wrap the chain around the neck twice. Coral 'rose' earrings. 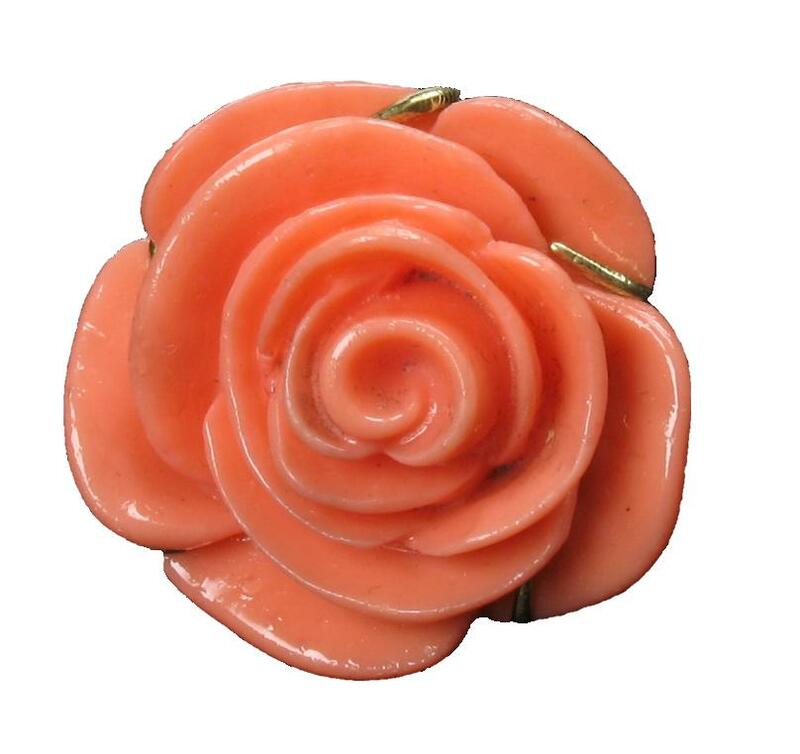 Wonderful resin carved roses claw set into a burnished gold plated setting. Flowers measure 1.5cm/15mm. Total length 3cm/30mm. French clip for pierced ears.